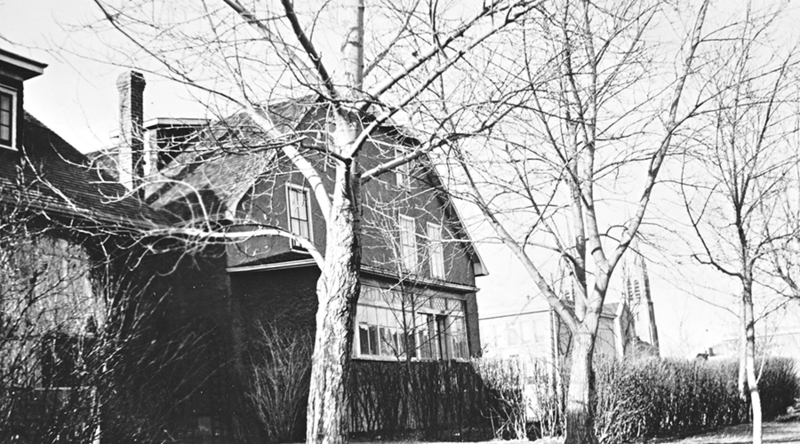 At the invitation of Archbishop James McGuigan of Regina, the Sisters arrived to establish a catechetical house, purchasing a house at 2220 Cameron Street from the Sisters of St. Louis in August 1934. 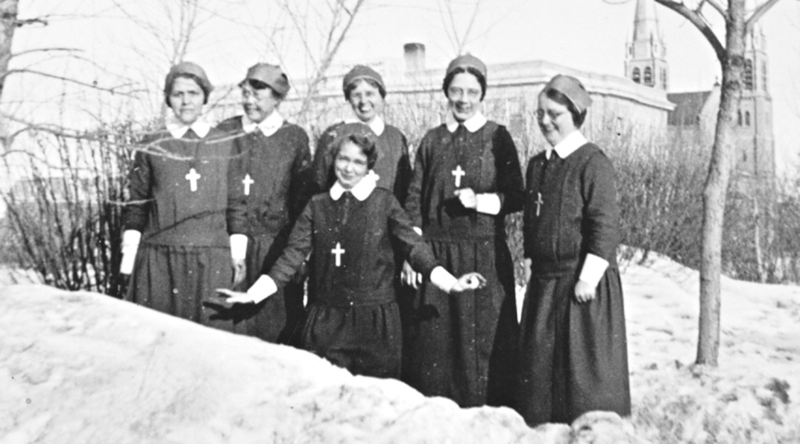 A month later, a religious correspondence school, similar to their school in Edmonton, opened officially and the Sisters began to send correspondence lessons to rural Catholic children in Saskatchewan, Manitoba and Northern Ontario. At its peak, enrolment rose to 7,000. Four sisters and many volunteers undertook the mammoth task of conducting this distance learning school. In the summers, the Sisters followed up the lessons with the religious vacation schools, preparing children for the sacraments and meeting many of the correspondence students. 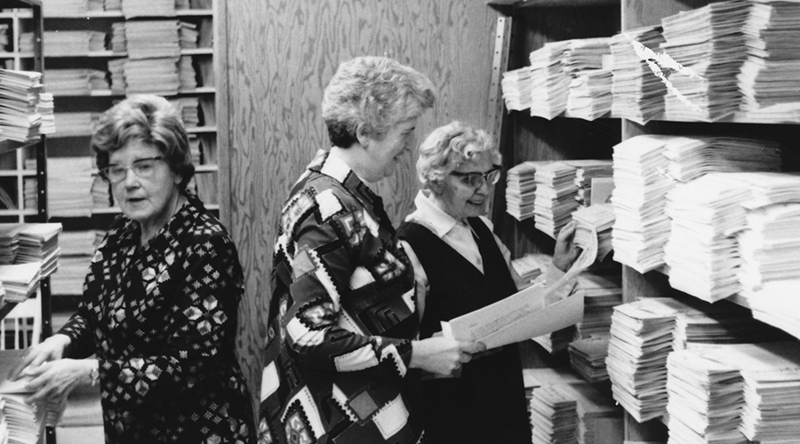 Although the correspondence school was the mission’s priority, the Sisters gave weekly classes in methodology of religion to education students; edited the “Children’s Page” and “Mailbox” in Salve Regina Quarterly; prepared the annual junior and senior diocesan examinations and accepted the responsibility for assembling 6,000 “Project Books” for the religious vacation schools. 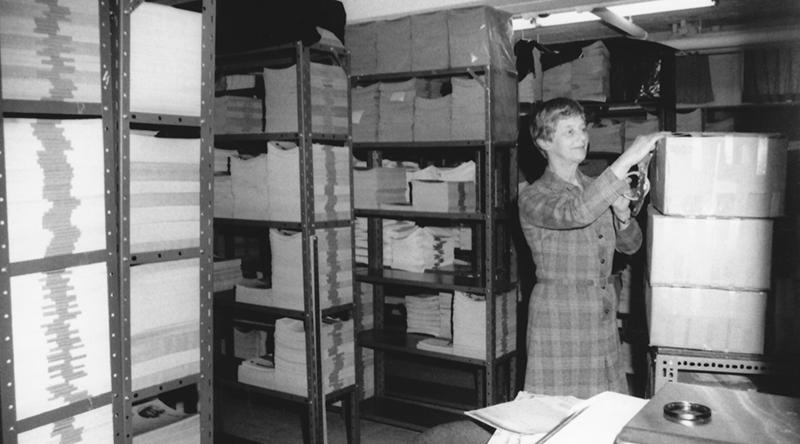 For more than 20 years, they mailed Catholic magazines and papers to thousands of Catholic families living on the prairies. 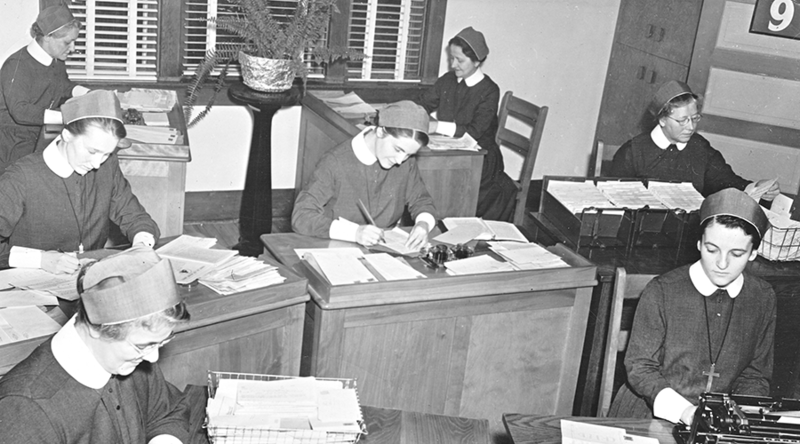 The Sisters organized the Marian Crusaders Club to promote devotion to the Blessed Virgin Mary and to provide a bond of union among correspondence school students. On weekends for more than three decades, the Sisters taught religion to Regina children attending public school and at the city’s mission churches of Lumsden, Qu’Appelle, Indian Head, Pilot Butte and McLean. The Sisters assisted St. Martha’s Guild, an organization for young working women. 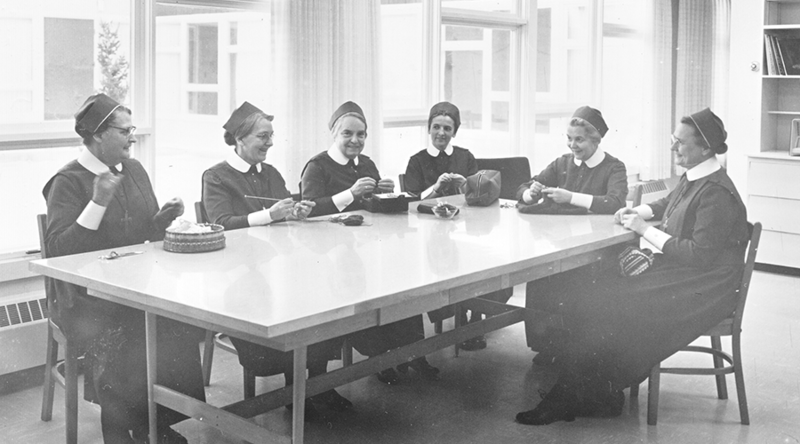 In the 1930s, the Sisters also distributed winter clothing to rural families. In 1962, changes began. On the same site, a new building was opened to house the correspondence school and the Sisters’ residence. The correspondence school adopted and adapted an updated series of the United States texts of the On Our Way Series. After the Second Vatican Council, the Home Religion Program was established. 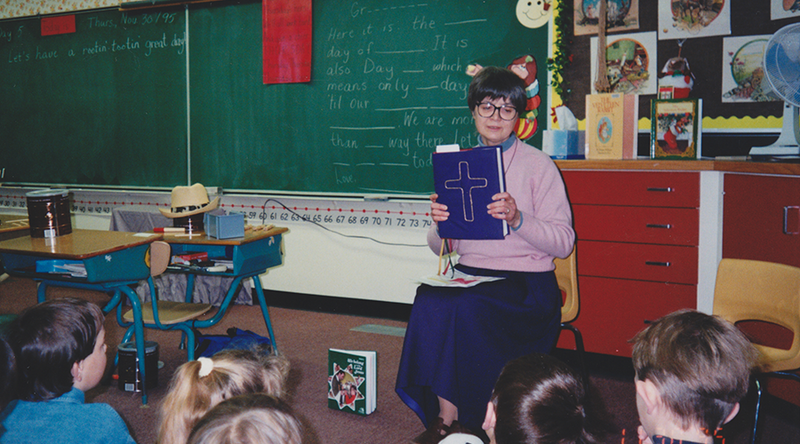 To assist parish schools in 1967, Sister Carmelita Camozzi conducted 41 workshops in parishes and missions. The success of these parish schools resulted in a decreased enrolment of correspondence students. As a response to the Home Religion Program, the correspondence school became a depot for the lessons of a new series, Come to the Father, approved by the Canadian bishops. In 1971, the correspondence school was renamed the Daly Centre in honour of Father George Daly, who guided the establishment of the schools. From 1971 until 1980 under the auspices of the National Office of Religious Education in Ottawa, a team of religious educators met annually at the Daly Centre to continue the preparation of the Come to the Father series and its successor Born in the Spirit series. After 1984, the correspondence lessons were printed and distributed from Ottawa. 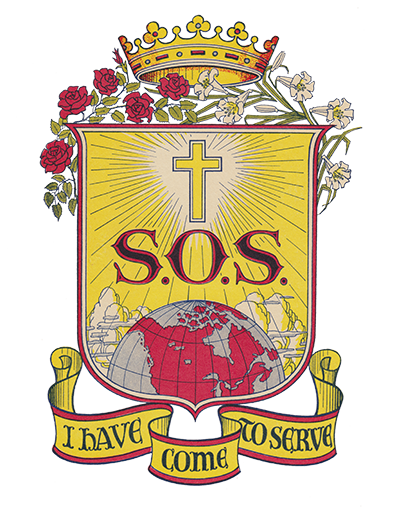 In June 1991, the Home Religion Program was transferred to the Archdiocese of Regina. Meanwhile, the Sisters became involved in the welcoming and instructing a new flood of immigrants from Asia. 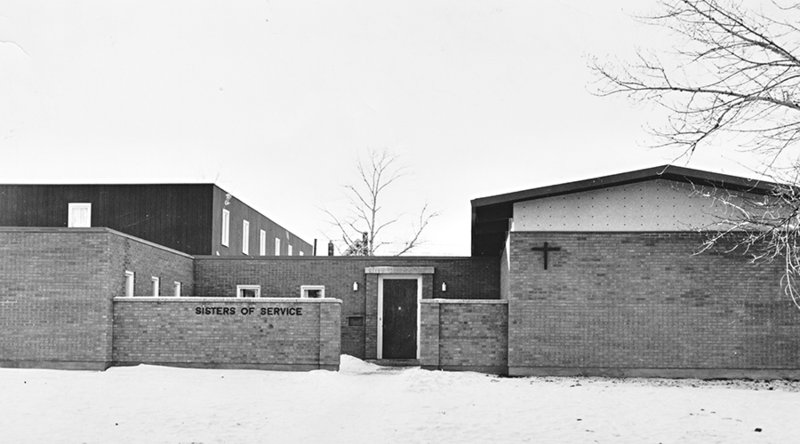 Sister Mary Roberts served as a parish assistant Holy Rosary Cathedral in Regina (1980-1987). Sister Adua Zampese (1994-1996) served as a pastoral assistant at northwest Regina in Holy Family parish. The mission at 2220 Cameron Street was closed in 2001. For a year (2002-2003), three Sisters assisted at St. Anne’s parish. Sister Adua Zampese provided sacramental preparation, visiting the nursing home and the elderly shut-ins. Sister Margaret Ready responded to various referrals for home visits. Sister Patsy Flynn volunteered at Visitation House, a parish drop-in centre for women and children in need.